I am a huge fan of ABC family's 25 days of Christmas countdown. Their Christmas movies are just too sweet and totally put me into the Christmas spirit. I have been browsing their movie list, so I can request some from the library. One of my favorites I am watching tonight . I know it isn't Thanksgiving yet, but man I can't resist. Christmas is my all-time favorite holiday. I love everything about it. I plan to do a whole bunch of stuff with my kiddos this month. I kind of feel like I have slacked this month, with being festive, but my mind has just been focusing on the things I wanted to do for December. Maybe next year I will try harder at making November more festive, but for now I will just continue to put all my efforts into the best holiday of the year! 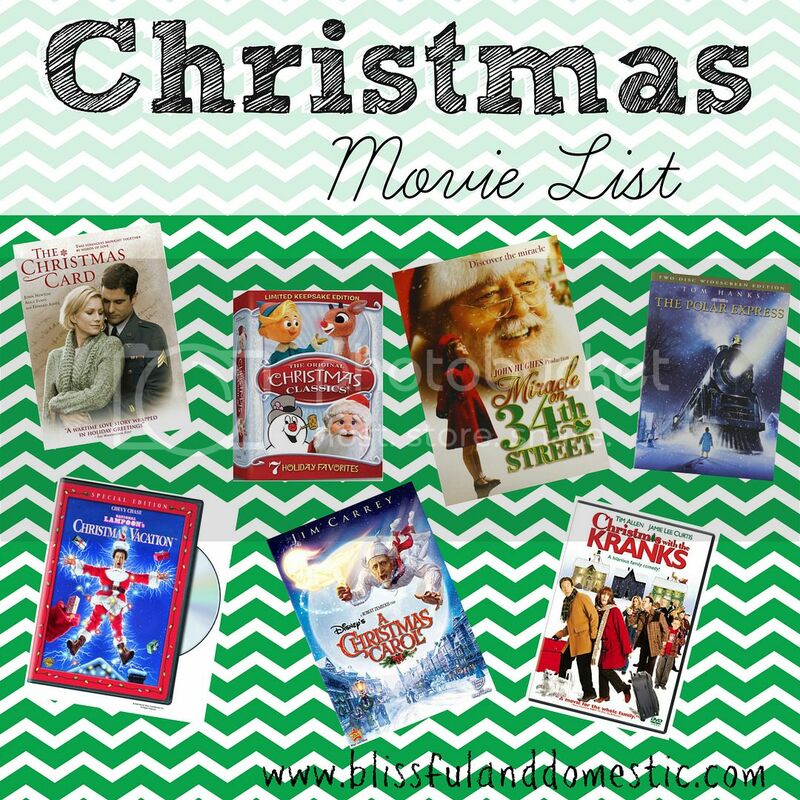 Anyways I wanted to share some fun Christmas movies that are on my must see list this holiday season. Some of these I own, but I will be requesting from the library or from Netflix. Man I love the library system! Saves me so much money! Thank you Clark County! Anyways here is my must-see Christmas Movie List. Oh and just a side note, tomorrow I will be posting our book list for December. I love Christmas movies too! I ordered about 15 movies from our local library last week. Gotta get them early!